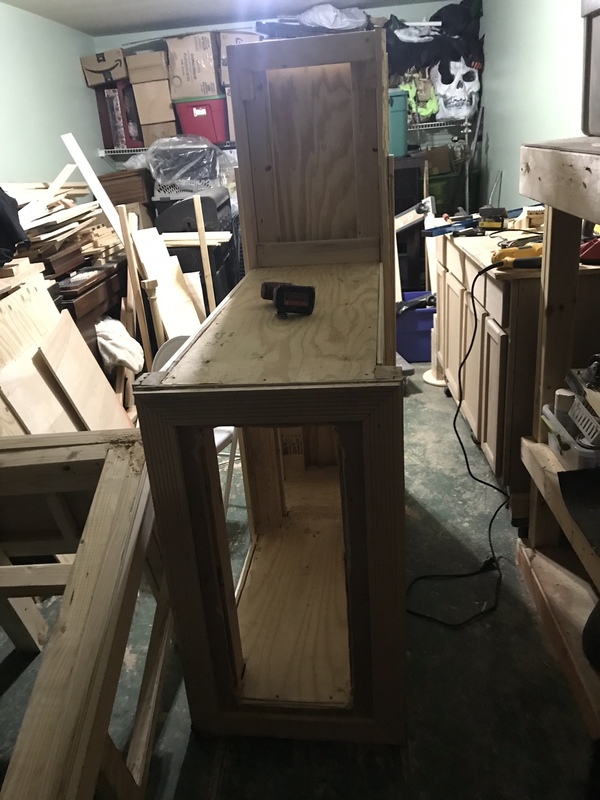 Woodworking Talk - Woodworkers Forum > Woodworking Forum > General Woodworking Discussion > I’m completely new and need help! 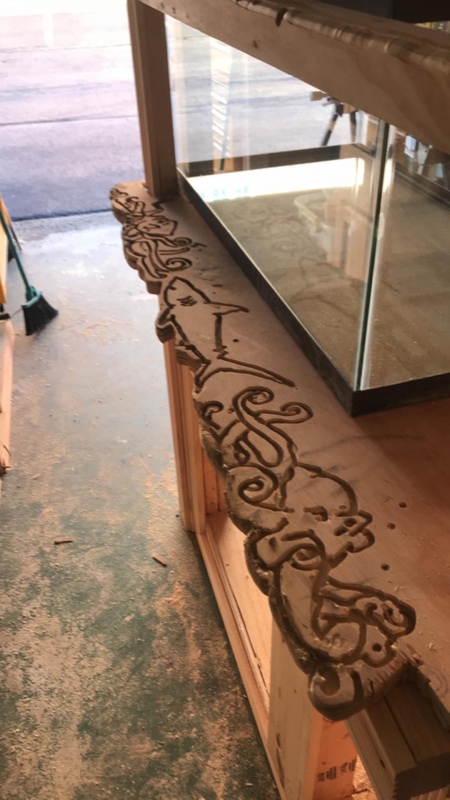 Hello so I have a had little experience with wood working. 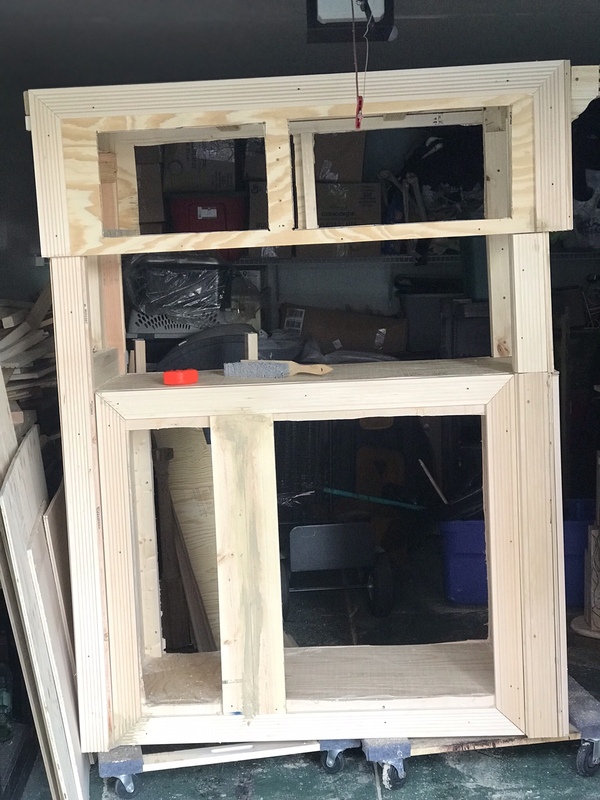 I am in the process of building an aquarium stand with a canopy over it. I am having trouble finding a solution to my issue. My issues is if I were to ever remove the canopy (which could only be removed by sliding it forward) the weight will cause the back end to come down on the tank. Potentially causing disaster. Any ideas or criticism are welcome. Welcome to the forum! Add your location to your profile and you can add your first name to your signature line so we'll know what to call you. This is probably best done on a computer rather than on a mobile device. 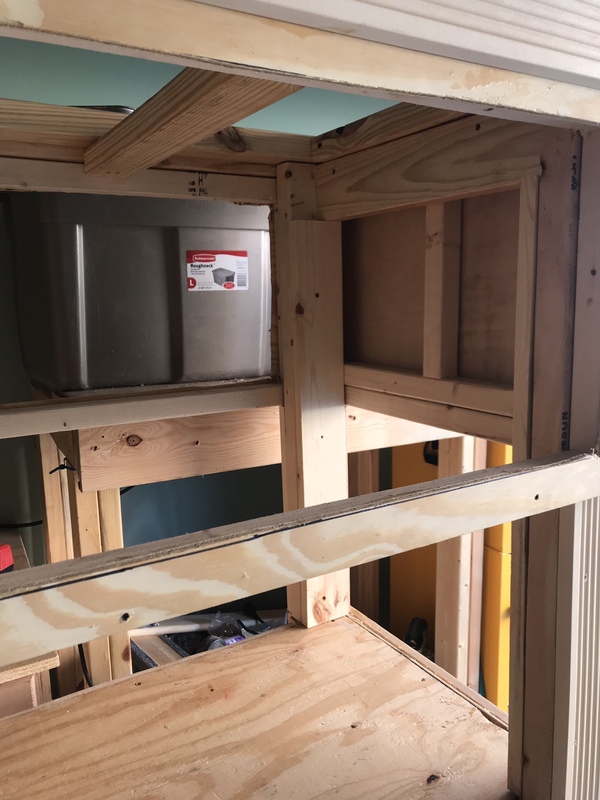 Is there a way to build in a ledge along the sides such that you can slide the canopy off without it dropping in the back? How much does the canopy weigh? What are the dimensions? Inless I installed latches or some sort of catch system? First I would offer another post with very similar information in it. 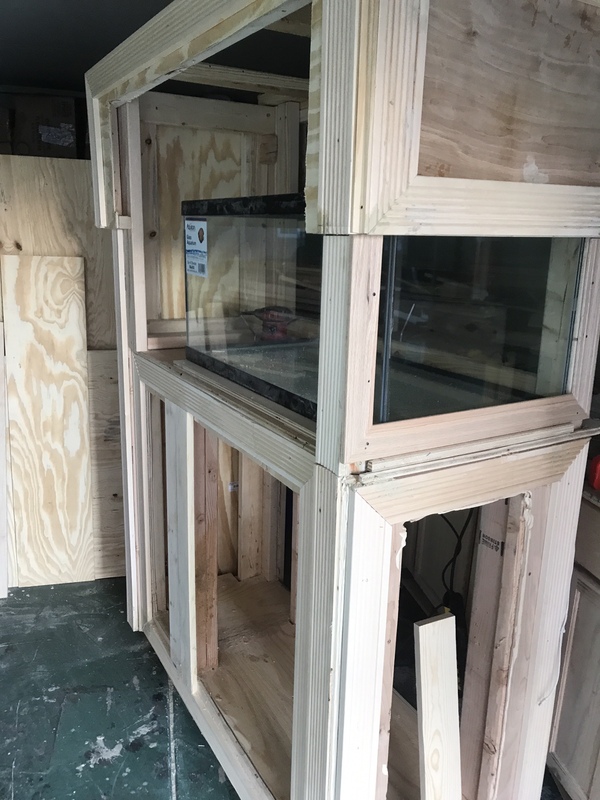 Just built a custom stand for my 125 Gallon Fish Tank - What do you guys think? What I can say at this point is I don't have enough context to give you the adivise I would like to? Your building the tank or its professionally made? Fresh water or Saline...or mixed medium Vivarium? Metal hinges do not fair well with most setup unless high end stainless steel and even then there can often be issues in just a few years. I would be more worried about the dampness from the water causing the cabinet above the aquarium to rot. Wouldn’t polyurethane and paint solve this? As for the tank it will be only a 40g breeder salt water reef setup. The tank is made by aqueon which I plan on drilling for a sump to go below the stand. I will be able to do all the maintenance through the canopy door and the filter will be below the tank. Polyurethane or paint would certainly help however these finishes aren't 100% waterproof, some moisture will go right through it. Then a better method of water getting in would be the cracks, crevasses and joints. That does tell me a lot more. Thank you. I always like to be encouraging to folks, but its hard often on forums to know at what skill levels a DIYer may have. By your own post title you have suggested that you are "completely new and need help," so I do have to share that this is a really "high end" build for even a pro at all this. I don't share that to be discouraging, but to make sure you fully comprehend that this type enclosure system has a great deal that has to work correctly to be successful. I have way more questions, that can't really be answered from a forum post alone so can only offer answers to questions you may ask direct from this point forward. One you have already shared and the feed back is that the stand, as built, seems lacking in design for what is going to be asked of it? That is only speculation as I can't see it in person nor have you presented a comprehensive design schematic for examination with all the components listed and how they are intended to work in concert with each other? I will also only speculate that you know a great deal about saline set ups so will have no issue balancing out the system and getting it to work sustainably? Food for thought? Sorry if it wasn't more helpful or what you wanted to read...?? ?...Let me know if I can expand on anything? Well, two Octopus flanking a Great White Shark (?...or is that a Thrasher Shark?) is clearly visible...I think you did a fantastic job of it!! !